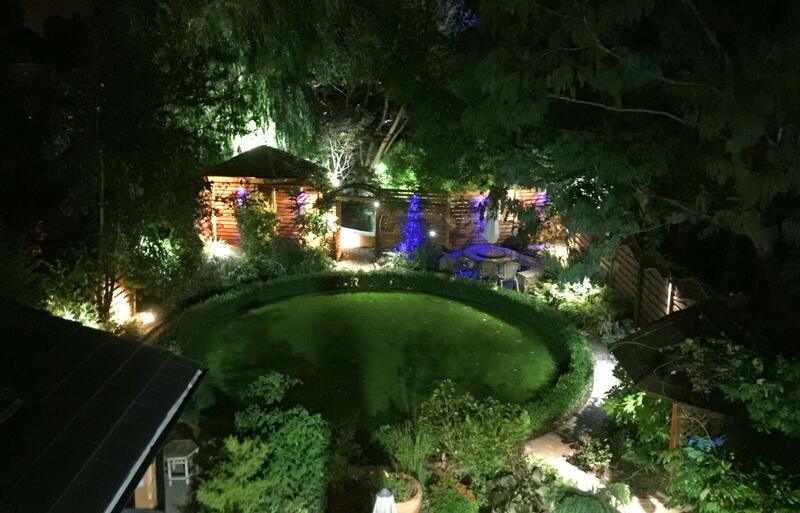 Our garden lighting services include the installation of decking LED lights, Spike spotlights & floodlights, Driveway lights, Wall & hanging down-lights, Garden Step lights, paving patio lights and Pond, underwater lights. 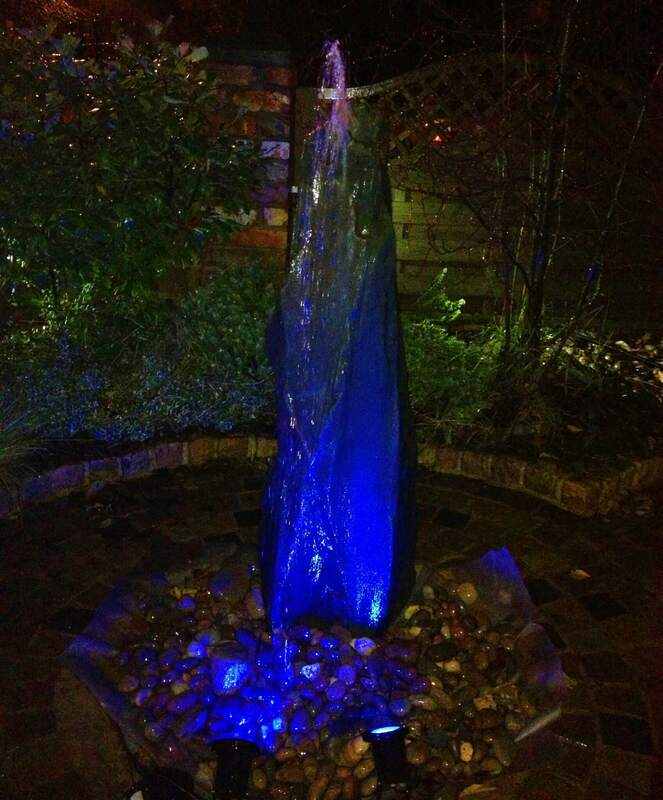 We can light up your whole garden with various different lights, so it has the wow factor even at night. This also allows you to entertain your guests easily at night. By adding lighting to your garden gives your outdoor living space a magical effect. These stunning lightings brighten up your whole garden and are not only helpful when you can’t see in the dark but they look really good when lit and they are easily controlled with a digital remote. The type of lighting you choose dictates the rest of your outdoor landscaping project. It helps narrow down options for lighting method, style, layout, and controls. It even dictates the best installation method and power source. Adding lights to your decking can be an impactful decorative touch. Highlight the edge of steps for increased safety at night, or create a cosy area of your garden that you can enjoy long into the evenings. Their purpose is to ensure the visibility of the entire deck surface at night. A pond, fountain, or waterfall adds a unique look to your yard while increasing your homes resell value. Those with moving water also bring the relaxing sound of nature to your home. Use special underwater pond lights to better illuminate these water features during the day and night. Designed to remain submerged underwater, these fixtures are similar to waterproof spotlights in that their purpose is to highlight certain design features. The style of your fixtures greatly influences the look of your landscaping as a whole. Materials, colour, and shape are the main factors that influence style. It’s these design elements that make your fixtures modern, rustic, or somewhere in between. Select a style that works well with your overall landscape design and home exterior, especially for highly visible fixtures (such as post mount lights). Lighting is becoming increasingly popular for all sorts of paving schemes, from simple point illumination for residential paths and patios to landscape features. There are many different types of the lighting unit that can be used to illuminate a paved area. Lighting your driveway with pretty lights do more than just make it look attractive when the sun goes down; it adds an extra layer of safety and security to your home. We offer many different driveway lighting services including the installation of LED lighting into block paving, Wall & hanging down-lights, Step Lights and border lights all adding extra curb appeal to your property. Curb appeal is a saying that estate agents invented to show that your home does not only need to look good inside but on the outside too, your home needs to look good from the curb or the pavement. Double check that all entry points of the home are well lit—and for an added layer, cover any side of the house in the shadows with spotlights installed in eaves or fixtures by side doors, windows, or garages. To help with remote control of your Garden Lighting at Abel Landscaping we offer the range of versatile and cost-saving wireless remote-control systems for garden lighting and other outdoor electrical devices, such as water features, decking and patio. Our Abel team can offer a solution to any outdoor lighting requirement whether decorative, functional or security driven. We design, install and maintain flexible schemes using cutting-edge switching systems tailored to individual needs from fully integrated dimmable solutions to one zone remote switching.